Trains to and from Zagreb are connected to the European train network. With its central location, it is connected to mostly all European capitals. Zagreb serves as a central train hub for Croatia. It connects Europe to most Croatian cities. Croatian train network is being reconstructed so some services might be limited or take longer than expected. Travelling by train is the simplest way to travel from and to Zagreb. Both national and international trains arrive every day at Zagreb Train Station. Offering plenty of options for arriving at Zagreb by train. The main line connects Zagreb with Munchen, Budapest, Vienna, Venice and beyond. 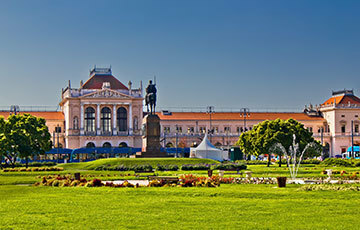 Like in most cases, coming to Zagreb by train is convenient as Zagreb Train Station is in the heart of the city. Well connected to the rest of the city with public transport. It is just as easy to reach the centre of the city. You can get to the Upper Town in only 10 minutes.